Editors Note: It is a childish distortion of the facts to claim that Adolf Hitler himself was ever called "Schicklgruber", although he did acknowledge his good fortune that this was not the case, particularly in view of his chosen career as a politician. 1874 Birth: Johannes Stark: German physicist, author, Nobel Prize laureate. During the Nazi regime he attempted to become the Fuehrer of German physics through the Deutsche Physik ("Aryan physics") movement (along with Philipp Lenard) against the "Jewish physics" of Albert Einstein and Werner Heisenberg. After Werner Heisenberg defended Albert Einstein's theory of relativity Stark wrote an angry article in the SS newspaper Das Schwarze Korps, calling Heisenberg a "White Jew". In his 1934 book Nationalsocialismus und Wissenschaft (English: National Socialism and Science) Stark maintained that the priority of the scientist was to serve the nation — thus, the important fields of research were those that could help German arms production and industry. He attacked theoretical physics as "Jewish" and stressed that scientific positions in Nazi Germany should only be held by "true" (i.e. pure-blooded) Germans. In 1947, following the defeat of Germany in World War II, Stark received a sentence of four years imprisonment. 1885 Birth: Tadeusz Kutrzeba: Polish general. During the Invasion of Poland in 1939 he commanded Armia Poznan composed of four infantry divisions (14, 17, 25, 26) and two cavalry brigades (Wielkopolska and Podolska). He devised the Polish counterattack plan of the battle of Bzura and commanded Army Poznan and Pomorze. 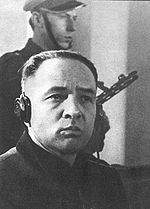 After the siege of Warsaw he was captured by the Germans and spent rest of the war in prisoner of war camps. 1892 Birth: Corrie ten Boom: Dutch author and Holocaust heroine. By 1942 she and her family had become very active in the Dutch underground, hiding refugees. Ten Boom was able to rescue many Jews from certain death at the hands of the Nazi SS. The family's work in saving Jews was motivated by their staunch Christian beliefs. They helped Jews without forcing conversion, and they even provided Kosher food and honored the Sabbath. The Germans arrested the entire ten Boom family on February 28, 1944 with the help of a Dutch informant (Corrie would later discover his name to be Jan Vogel); they were sent first to Scheveningen prison, then to the Vught political concentration camp (both in the Netherlands), and finally to the notorious Ravensbrueck concentration camp in Germany in September 1944, where Corrie's sister Betsie died. Corrie was released in December 1944. In the movie The Hiding Place, Corrie narrates the section on her release from camp by saying that she later learned that her release had been a clerical error: it so happened that the women prisoners her age in the camp were killed in the week following her release. Died this day in 1988. Frank Tompkins's column, Troop K, Thirteenth Cavalry, and Troop M, Thirteenth Cavalry, entered Parral 11 a.m., 12th instant. Proceeding was cordially received by higher civil and military authorities. Military Commander General Lozano accompanied Major Frank Tompkins on way to camp. In the outskirts of the town groups of native troops and civilians, following, jeered, threw stones, and fired on column. Major Frank Tompkins took defensive position north of railroad, but was soon flanked by native troops and forced to further retire. About 300 Carranza troops joined in pursuit, and Major Frank Tompkins continued to withdraw to avoid further complications until he reached Santa Cruz, eight miles from Parral. Fighting ceased about fifteen miles from town. Major Frank Tompkins deserves great praise for his forbearance. General Lozano attempted to control his men when fight first began, but failed to. 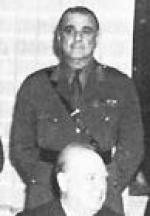 Colonel Brown, with Major Charles Young, Tenth Cavalry, squadron of Tenth Cavalry, eight miles away when notified, and joined Major Frank Tompkins 7 p.m. Reported privately forty Mexicans killed, all soldiers, including one major. One civilian wounded. Americans killed, two; wounded, six; missing, one. Major R. L. Howze, Eleventh Cavalry, arrived Parral yesterday from San Berja and Ballesea, having had several skirmishes with Villa men. One man killed, two wounded. Arras: British advance near Arras is halted. With the Germans, in the throes of a major spring offensive on the Western Front, hammering their positions in Flanders, France, British forces evacuate Passchendaele Ridge, won by the Allies at such a terrible cost just five months earlier, on April 15, 1918. 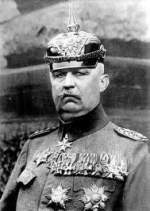 Under the command of Erich von Ludendorff, the German army launched "Operation Georgette," the second phase of their first major offensive on the Western Front for more than a year, on April 9, 1918, near the River Lys in Flanders. In the first days of the attack, the Germans regained the momentum they had lost at the end of March, when the Allies halted the first phase of the attacks at Moreuil Wood and around Amiens, France. Storming ahead against the British and Portuguese divisions at the Lys (one Portuguese division was so overwhelmed it refused to go forward into the trenches after the initial bombardment), German forces advanced quickly as panic swept down the Allied lines of command. 1919 Weimar: Hoffmann and his Social Democrats, who had failed to build a counterrevolutionary army at Bamberg, request the aid of Von Epp and several other Free Corps groups. Their anti-Republican sentiments had already led to their being banned in Bavaria. 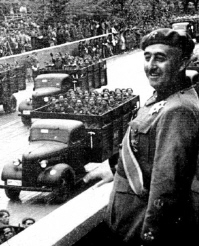 1938 Spanish Civil War: General Francisco Franco's forces capture Vinaroz. 1939 President Roosevelt appeals to both Hitler and Mussolini for assurances against any further aggression, telling them both there is no need for war and to respect the independence of other nations, specifically naming thirty-one countries in Europe and the Near East. Soon afterward Hitler will ridicule Roosevelt during a speech to the Reichstag by sarcastically reiterating the thirty-one nations listed in Roosevelt's appeal. The Reichstag will burst into laughter at the seemingly endless list. 1939 Holocaust: Alfred Rosenberg opens the Institute of the Nazi Party for Research into the Jewish Question (Institut der NSDAP zur Erforschung der Judenfrage). I request that you explain to Herr Molotov our attitude toward Sweden as follows: We share completely the attitude of the Soviet Government that preservation of Sweden's neutrality corresponds both to German and to Soviet interests. As you already told him on transmitting our memorandum on April 9 and repeated during the conversation of April 13, it is not our intention to extend our military operations in the north to Swedish territory. On the contrary, we are determined to respect unconditionally the neutrality of Sweden, as long as Sweden in turn also observes strict neutrality and does not support the Western powers. Norway: The Allies start their attack on the Norwegian town of Narvik which is occupied by Nazi Germany. Quisling is forced out by the Germans and replaced temporarily by Ingolf Christensen as the head of a German controlled puppet government of Norway. 1942 World War II: The George Cross—Britain's highest accolade for civilian gallantry—is conferred on Malta by King George VI for bravery in withstanding Italian and German attacks. Belgium: An Allied bomber attack misses the Minerva automobile factory and hits the Belgian town of Mortsel instead, leaving 936 dead civilians in its wake. The Chiefs of Staff feel that you should be made aware of reports of German experiments with long-range rockets. The fact that five reports have been received since the end of 1942 indicates a foundation of fact even if details are inaccurate. Death: Giovanni Gentile: self-proclaimed philosopher of Italian Fascism and the major figure in the rise of Hegelian thought in Italy. 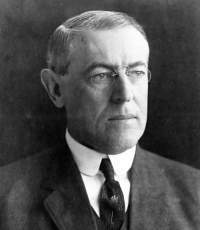 In President Roosevelt the Soviet People saw a distinguished statesman and an unswerving champion of close cooperation between the three states. 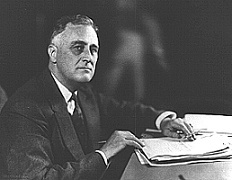 The friendly attitude of President Franklin Roosevelt to the USSR will always be most highly valued and remembered by the Soviet people. So far as I personally am concerned I feel exceptionally deeply the burden of loss of this great man, who was our mutual friend. The Ambassador and I had a talk with Stettinius shortly after my arrival this morning. Stettinius said that both Stalin and Molotov had shown signs of being deeply moved by the Presidents death. Stalin asked Harriman whether there was any contribution he could make at a moment like this to assist to promote the unity of the great Allies. Stettinius said that unfortunately Harriman had not at once replied Poland, but instead had suggested that it would be a good thing if Molotov could come to San Francisco for the Conference. Stettinius had seized on this, and telegraphed urging not only that Molotov should come to San Francisco, but also he should come to Washington first for conversations. An hour ago Stettinius rang me up to say that the Russians had agreed to this course and that Molotov was coming by American aircraft which had been sent to bring him. I suppose therefore that he will be here by Tuesday, when I plan that we should embark upon the Polish issue. I have just read the draft joint message which you propose we should send to Stalin. In principle I am in complete agreement with its terms . . . . I strongly agree with you that our reply is of high urgency. Moreover, it is important to strike the note of our unity of outlook and of action at the earliest moment. 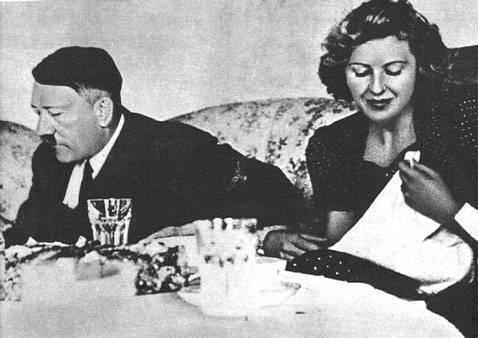 Eva Braun moves into the Fuehrerbunker. Dr Kauffmann: Kaltenbrunner was called the successor of Heydrich. Does this apply to him in the full sense of the word? Neubacher: It cannot, and that I know because . . . The President: That's a matter of argument. This witness' opinion cannot affect the position of Kaltenbrunner. This witness cannot testify whether he was called a successor to Heydrich or another Heydrich. Dr Kauffmann: The Prosecution speak in a disdainful way that Kaltenbrunner was the successor of the ill-famed Heydrich. This witness knows them both, therefore I believe . . . The President: The witness has already admitted that he was the successor of Heydrich. You may ask him if he was another Heydrich. Dr Kauffmann: Please, will you tell whether he was called a second Heydrich? Kauffmann followed the example of Dr Nelte and Keitel by confronting Kaltenbrunner with one after another of the criminal events with which the prosecution had targeted his client. Relying heavily on the limits of his responsibility as he had described them, Kaltenbrunner denied guilt for each and every event. Of some, he had never heard; in others, he had not been involved; if the document bore his typed signature, someone else had put it there without his knowledge; if the signature was handwritten, it had been forged . . . . Kaltenbrunner asserted that he had only once visited a concentration camp (Mauthausen), denied that he ever saw a gas chamber, and denied virtually everything else that Kauffmann put to him . . . . Kauffmann called as a witness Rudolf Franz Ferdinand Hoess, who had been Commandant of Auschwitz . . . . It is beyond understanding that Hoess was put on the witness stand not, like Ohlendorf or Bach-Zelewski, by prosecution counsel but by the defense. Considering the broad range of Kaltenbrunner's activities, there was little to be gained by attempting to prove that he had never been to Auschwitz and never personally signed a death order there. The consequences were not limited to Kaltenbrunner. 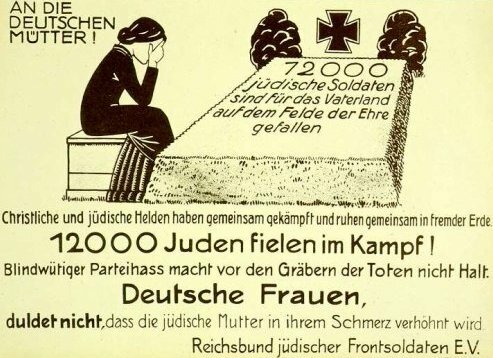 The awful scale of the Nazi terror—produced by a Fuehrer to whom the defendants had pledged and given their allegiance, and by Himmler, Heydrich, Pohl, Mueller, and other leaders of the Nazi government—cast a pall of shame over the defendants and their counsel. 1948 Death: Radola Gajda: Czech military commander and politician. During March 1939 the Czechoslovakian political scene was in state of turmoil. Several coups were attempted, one in anticipation of making Gajda the new head of state. These amateurish coups ended in fiasco and several days later the remaining Czech lands were occupied by Nazi Germany. 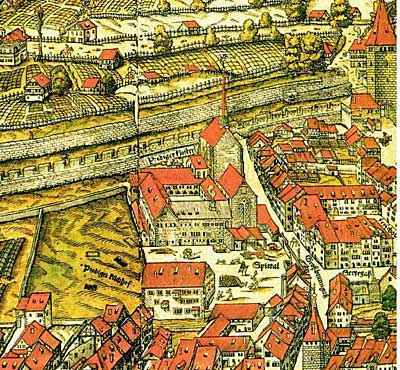 Gajda was marginalized during the occupation and abandoned politics. He occasionally assisted the Czech resistance by helping army officers to flee into Poland and by hiding the resistance activities of his son. He was investigated by the Gestapo but avoided imprisonment. When World War II ended Gajda was imprisoned by the NKVD (May 12, 1945) and interrogated under harsh conditions (he lost his eyesight while jailed). In April 1947 he was brought to trial for "propagation of Fascism and Nazism," for which the prosecutor requested a life sentence. Gajda's guilt was far from clear and the resulting sentence of two years allowed him to leave prison shortly thereafter. Penniless and forgotten, he died several months later. During the communist era (1948-1989) Gajda, as a legionnaire and fascist, was ignored by official historiography and is practically unknown in Czech Republic and Slovakia today. 1955 Wunderwaffen: Wernher von Braun, his wife and children, and 40 other German rocket scientists and their families—103 people in all—become American citizens, in a ceremony in the Huntsville High School auditorium.